Greatest friends or greatest rivals? Asgard or Olympus? Hammer or mace? God of Thunder or Prince of Power? 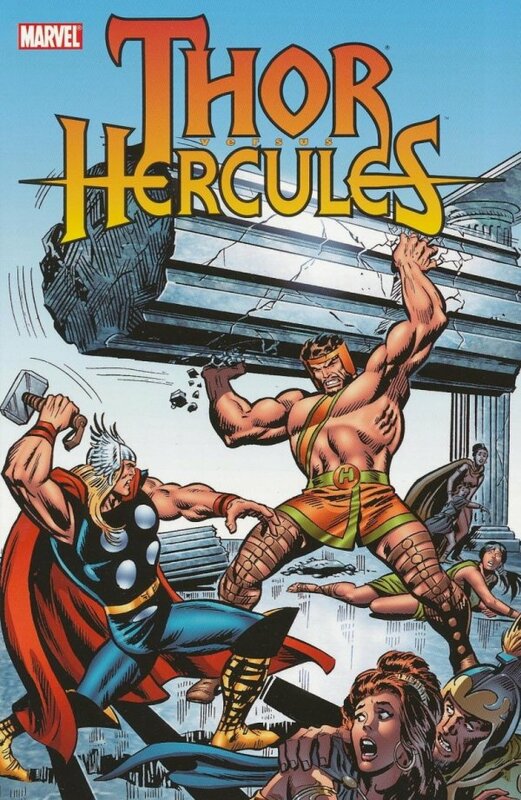 When two half-human gods such as Thor and Hercules meet up, they come to blows as often as they join forces against threats such as Pluto and Ares! No matter the world, no matter the stakes, no matter the property destruction, see these two demigods seek to prove who is the strongest-even when they switch costumes! Women and mead not provided.